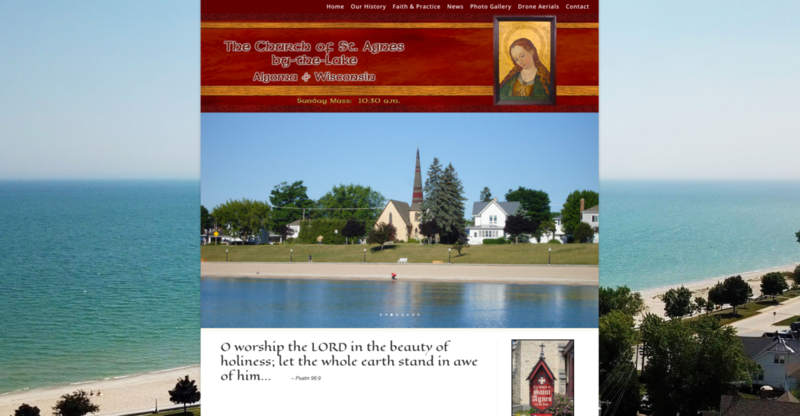 St. Agnes-by-the-Lake Episcopal Church, Algoma, Wisconsin, (originally called Grace Church) United States, is an Anglo-Catholic mission congregation of the Episcopal Diocese of Fond du Lac. The congregation first met in 1877, becoming an organized mission in 1897. The first church service in Ahnapee, the former name of Algoma, was held by the Rt. Rev’d John Henry Hobart Brown, Bishop of Fond du Lac, on Aug. 15, 1877, one person being confirmed, and an infant baptized. The first building, named “Grace Church”, was built in 1878 according to a design by Richard Upjohn (architect of New York City’s famous Trinity Church, Wall Street, and founder of the American Institute of Architects). This was the first edifice to be constructed in the diocese following its organization in 1875. Grace Church burned to the ground in the spring of 1884. It was not until 1891 that the parishioners, with the encouragement and financial support of the second Bishop of Fond du Lac, the Rt. Rev’d Charles Chapman Grafton, could rebuild their church. The new edifice, reconsecrated as “St. Agnes-by-the-Lake”, was built on the old foundation and is an exact replica of the original Upjohn design. This new structure was also the first church to be built during Bp. Grafton’s episcopate. A separate parish house, comprising a guild hall and vicar’s residence, was completed two years later. The arrival in 1897 of the Rev’d Dr. W.R. Gardner, SSJE, sometime dean (president) of Nashotah House Seminary, marked the beginning of Anglo-Catholic liturgical practice at St. Agnes. It is during his tenure that “High Mass”, including use of incense and other sacramental symbolism, became normative Sunday practice. It is also during this time that the present altar and carved wood statuary were installed. The figures on the rood beam (Jesus, St. Mary, and St. John) were carved by artists from Oberamergau, Germany, who were brought over to Wisconsin by Bp. Grafton to do extensive carving for St. Paul’s Cathedral, Fond du Lac. During this time, several additional rood groupings were carved, one of which was presented to St. Agnes Church. After Dr. Gardner’s death in late 1906, the Rev’d H.W. Blackman became the next resident vicar. As a result of Fr. Blackman’s 33-year tenure, the churchmanship introduced by Dr. Gardner continued to flourish, and was further heightened and secured by the introduction of the Anglican Missal (i.e., American-SSJE). Bishop Grafton, Dr. Gardner, and Fr. 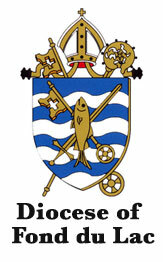 Blackman, prior to their residencies in Wisconsin, were all affiliated with Boston’s Church of the Advent, the mother church of the Anglo-Catholic movement in America.